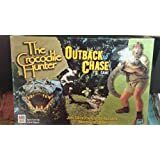 The Crocodile Hunter Outback Chase Game. By Crikey! All contents belong to Discovery Communications.